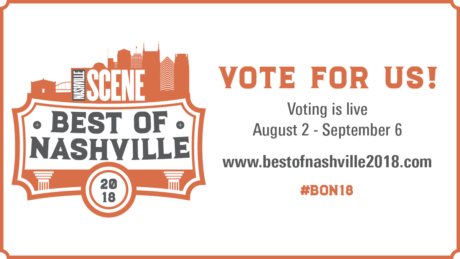 Voting for the Nashville Scene’s Annual Best of Nashville issue is on! YOU voted us #1 coffeehouse in 2013 + 2014 + 2015 + 2017 AND Best Service in 2016 – Thank you! Cast your vote HERE and stop by any Frothy Monkey Location to get your “I Voted” sticker. You have until September 6th. You have to vote for at least 20 categories and we’ve got at least 10 that we qualify for! Cast your vote HERE and stop by any Frothy Monkey Location to get your “I Voted” sticker.